Ruth Rendell, y’all. She’s just so good. I’ve read almost all of the books she wrote as Barbara Vine and a lot of the standalone books she wrote under her own name, as well as a smattering of the Inspector Wexford books. But most of what I’ve read is from the 1980s and later. The Secret House of Death is from 1968, but it absolutely feels like a Ruth Rendell novel, concerned with how everyday people turn violent and about the dark undercurrents in contemporary society. The book is set in a quiet neighborhood called Matchdown Park, where the women stay home during the day and gossip over the fences. The primary focus of neighborhood gossip is Louise North, who is frequently visited by a man who is supposedly installing central air. But Louise’s husband, David, says they’re not planning to get central air. Susan Townsend tries to ignore the gossip. She is divorced from her husband, Julian, and she knows how it feels to be talked about. But both David and Louise seem to see her as a potential confidant. And, then, when a tragedy occurs, she gets pulled into the drama in a more serious way. 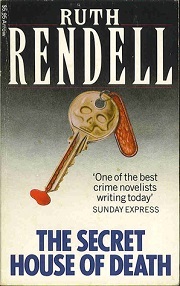 Although Rendell sometimes wrote whodunit-type mysteries, and this is one, she’s principally interested in the whydunit. There are only a few likely culprits for the murder in this book, and the solution is no great surprise. Most of the fun is in watching the characters piece it all together. And, unlike in Rendell’s later novels, the psychology of the killer isn’t all that interesting, especially when held up against Rendell’s later books. Still, she does get at something about how truly nasty people can have a power to charm. And that’s as relevant today as it was in 1968. I like the whydunit myself :) I read Brimstone Wedding last year, and am looking forward to Anna’s Book this year. This one sounds very good as well, and I like the timeframe in which it was written. Me, too, which is probably why I’m such a Rendell fan. I loved Anna’s Book. 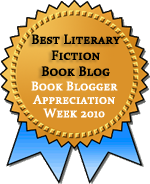 I can’t remember if I’ve read Brimstone Wedding, although I have a signed copy I found in a local used bookstore and am looking forward to reading it.